You have a great idea hatched while sitting on your deck and enjoying your favorite adult beverage. You know how to make a product or provide a service. You have defined your market. You are excited and anxious. You are ready to go for the American dream - operating your own business. You need to reach out to an attorney and/or a certified public accountant to help you through the process. Their professional guidance is money well spent (sigh...just the cost of doing business). That's right. Nothing sounds more official than being issued a number from Uncle Sam. The EIN is a nine-digit number assigned by the Internal Revenue Service to identify your business tax account. The IRS uses the number to identify taxpayers who are required to file various business tax returns. There is no cost to obtain an EIN from the federal government (shocker), and you can register one immediately on the IRS website. Register your corporation name with the Indiana Secretary of State's Office. This is important for many reasons -- especially to avoid lawsuits. (Hint - Make it a combination of your kids' names.) You can easily check on the website of the Business Service Division of Indiana's Secretary of State to see if someone else has registered your proposed corporation name. If your corporation name is available, you can instantly register it online. The Indiana SOS business portal also allows you to file business entity reports or download copies of filed documents. Check for trademarks on company names or brands. You may have a catchy phrase for your signage - maybe a slogan or symbol. But it also could get you in trouble if it resembles a competitor who has trademarked them. (Remember the legal challenges of McDowell's restaurant with the "Golden Arcs" sign and the "Big Mick" burger in the movie Coming to America?) You can check for any potential infringement on the Indiana Secretary of State's Trademark Search website portal. If you discover your concept is similar to another business, you can go back to the name game drawing board or hire a good trademark attorney. Get your licensing, if required, from the state. Get the proper permits from your local government. Talk radio works up a sweat over the intrusion of government into private business. However, local government plays an important role in your business startup - especially if you are constructing or fixing up a building. Your local city and county permit programs are intended to protect the health and safety of our community and your customers. They also make certain your business conforms to the zoning ordinances, which intend to care for the quality of life and maintain property values. Also, proper permitting is required by your business liability insurance company. Over the years, local entities have developed master plans and building permit regulations and fees. They work in everyone's best interest. And if serving food (in any way, shape or form) is part of your business model - you have to get the blessing of the county health department. Their dedicated inspectors help prevent nasty bugs from getting into our chicken salad. Fill out the forms and write a check for business liability insurance. Bad things happen to good people. While you don't want negative thoughts to dampen your enthusiasm for your new venture, you need think about the "what ifs" should you or your business cause harm. Perhaps the most obvious reason to purchase small business insurance is to protect your tangible investment—from your merchandise to the tools you use to make your business work. You also need general liability insurance that covers all sorts of claims - from injuries to negligence. Sometimes, you might need specific product liability or professional services liability insurance. You should find a trusted insurance agent who specializes in helping small businesses. Again, this ounce of prevention is the cost of doing business. File your Business Entity reports each anniversary of your launch. 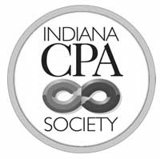 In Indiana, all Corporations and Limited Liability Companies must pay $30 and file a biennial Business Entity report with the Secretary of State's office. (You can do this online.) The report updates your name, business address, telephone number and other pertinent information about your business. You also get a nice certificate to hang on your wall and show off to your mother. Unless you are a numbers wonk, getting your business paperwork in order is dull and boring. You won't wake up in the morning all excited about filing your first federal ID number. But it's necessary to make your business legit. Do yourself (and your banker) a favor. Get yourself a cup of coffee, do a little research on the Internet and make an appointment with Compass Pointe CPAs.